KERRY LEGEND AND wandering county manager Mick O’Dwyer has this evening been ratified as the Clare supremo for the 2013 league and championship campaign. O’Dwyer has not coached at inter-county level since he left the Wicklow scene in 2011, but will take charge of the Banner in Division 4 of the Allianz Football League next term. O’Dwyer’s first outing in the Munster senior football championship since 1989 will come in the semi-final when Clare will take on either Cork or Limerick. O’Dwyer, 75, replaces Cavan’s Michael McDermott who informed the county board in the summer that he would not be staying on. 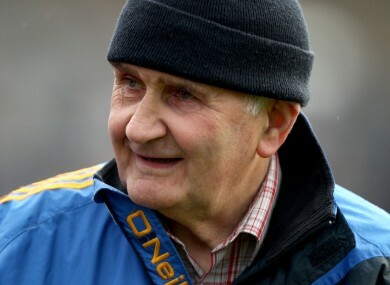 Email “Back in the hot seat: Mick O'Dwyer confirmed as Clare senior football boss”. Feedback on “Back in the hot seat: Mick O'Dwyer confirmed as Clare senior football boss”.